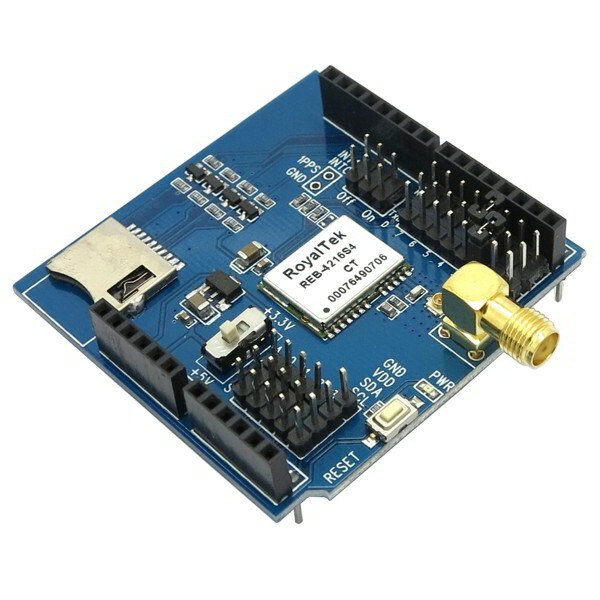 The ITEAD GPS Shield enables your Arduino project to determine its location using global positioning satellite technology. This shield includes a GPS receiver and a handy micro SD card slot. 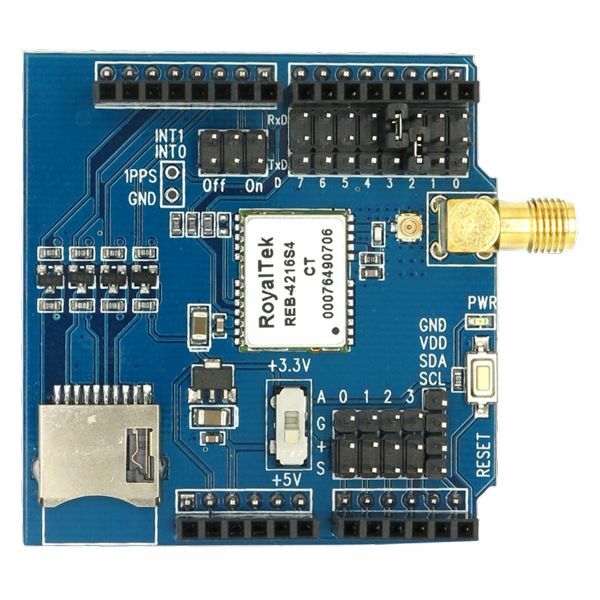 The GPS receiver is based on the powerful RoyalTek REB-4216 GPS. An active antenna design enables the high sensitivity needed to achieve fast TTFF Time To First Fix operations at low signal levels. GPS also provides amazingly accurate time. The Arduino communicates with the GPS using a serial interface. A multiplexer allows you to select any of the pins from D0-D7 for the interface. A switch allows the board to operate at 3.3V or 5V for use with a full range of Arduino and compatible microcontrollers. This shield is great for an outdoor robot that needs to know its real world geo coordinates.